Looking for professional assistance with guttering or external alterations? Contact Elite Property Services (NW) Ltd today. We also cover a variety of aspects of joinery and offer custom made pieces of furniture. You can rely on us for staircases, doors, laminate flooring and real wood flooring. All our team members have years of experience in this line of business and can offer reliable services. 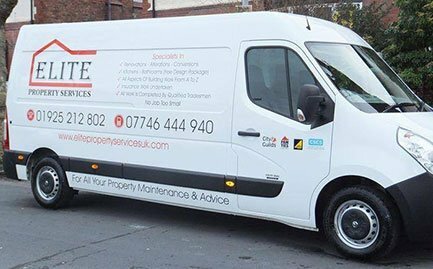 Make use of our services in Warrington, St Helens, Stockton Heath, Widnes, Runcorn and the surrounding areas. You can depend on us for the repair and replacement of damaged gutters, fascias and soffits. 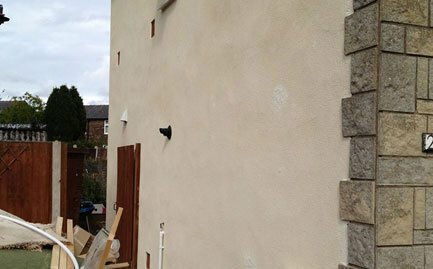 We also provide top-quality rendering work, external alterations and much more offered at competitive prices. Our experts are knowledgeable and capable of carrying out external alterations to the highest standards. Whether your requirements are small or large, your project will receive the same amount of attention and care. Speak to us for a free quote today.